The statewide gas price average in Texas is $2.54 for a gallon of regular unleaded fuel, according to the AAA Texas Weekend Gas Watch. That price is six cents more than this day last week and is five cents more per gallon compared to this day last year. Of the major metropolitan areas surveyed in Texas, drivers in Midland are paying the most on average at $2.70 while drivers in San Antonio are paying the least at $2.39 per gallon. The national average price for a gallon of regular unleaded is $2.78, which is seven cents more than this day last week and 11 cents more than the price per gallon at this same time last year. Around Texas, the El Paso area saw the largest weekly jump where drivers are paying 19 cents more for a gallon of regular unleaded gas. Meanwhile, drivers in the Sherman/Denison area experienced the largest increase from one year ago, with the local average up by 19 cents. There are several factors behind gas prices climbing, including strong demand and inventories tightening. Overall, refinery utilization stands at 86% compared to 93% last year at this time due to unexpected and planned maintenance. However, Texas still remains one of the least expensive markets for gas in the country. AAA Texas is recommending strategies that drivers can use to conserve gas right now and reduce annual fuel use by up to 50 percent. Making sure you’re shopping around. 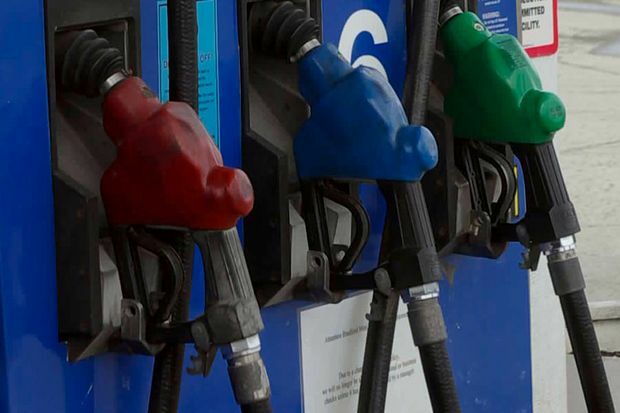 Looking for low gasoline prices in their local communities may save motorists money. Consumers can easily shop around online or on a mobile device by using the free AAA app, which automatically displays the lowest gas price near the user on the home screen. Traveling long distances to save a few cents wastes fuel and may cost motorists more money. Properly maintaining your vehicle is critical in reducing gas use; Under-inflated tires, for example, can cut fuel economy by up to 2 percent per pound of pressure below the minimum recommended level. Worn spark plugs and dirty air filters also increase fuel consumption.